The Mt. 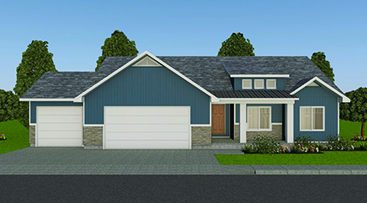 Everest is one of our newest floor plans. This home has beautiful dormer windows that add natural light to your living area. This open-concept plan includes a walk-in-pantry, walk-in-closet and a u-shaped-kitchen.